NIMD’s new programme in Ethiopia, implemented in partnership with the Association of European Parliamentarians with Africa (AWEPA) and the Netherlands Embassy in Addis Ababa, kicked off with a five-day training workshop in Adama, Ethiopia, on 27-31 March. The new programme, which forms part of the NIMD-AWEPA Strategic Partnership with the Netherlands Ministry of Foreign Affairs, will aim to contribute to the consolidation of democracy in Ethiopia. Over the course of the programme, the partners will work with both political parties and parliaments to build capacities and promote dialogue. 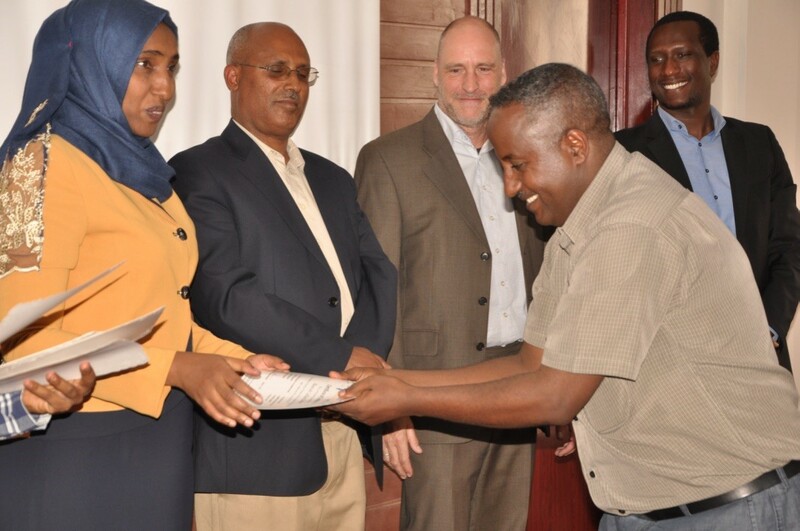 The first activity, organized by AWEPA, laid the foundations for this future cooperation while at the same time equipping members of the Federal House of People’s Representatives (HPR) and the Regional Parliament of Oromiya (Caffee) with skills necessary to strengthen their capacity to legislate effectively. The workshop, attended by both MPs and staff members from the two institutions, also provided participants with the skills necessary to scrutinize draft proposals for legislation to ensure that they comply with the minimum norms and standards of constitutionalism and legislation. As the activity was intended primarily as a Training of Trainers (ToT), its main goal was to ensure that the enhanced legislative capacity is left in Ethiopia as a seed for equipping further MPs and other strategic personnel on legislative drafting. NIMD is excited to announce the programme’s first activity, and looks forward to further developments and increased cooperation as more activities get underway.